If my wife sneaks up and sees me snap the laptop closed, she knows exactly which website I’ve been browsing. 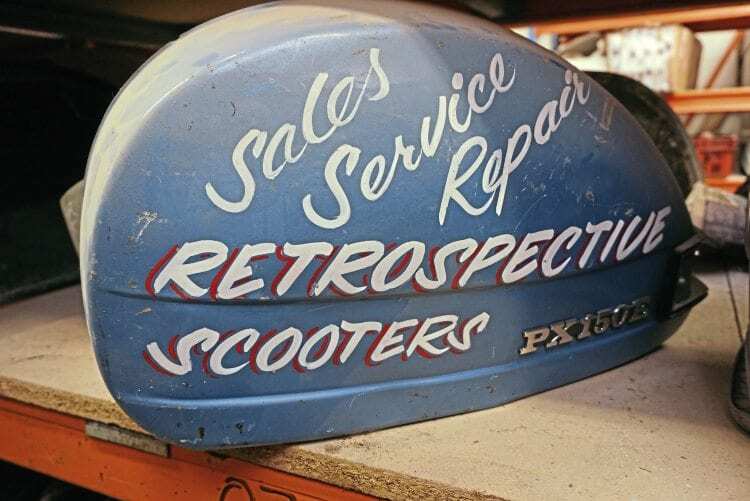 No, not THAT sort of website — I meant Retrospective Scooters! 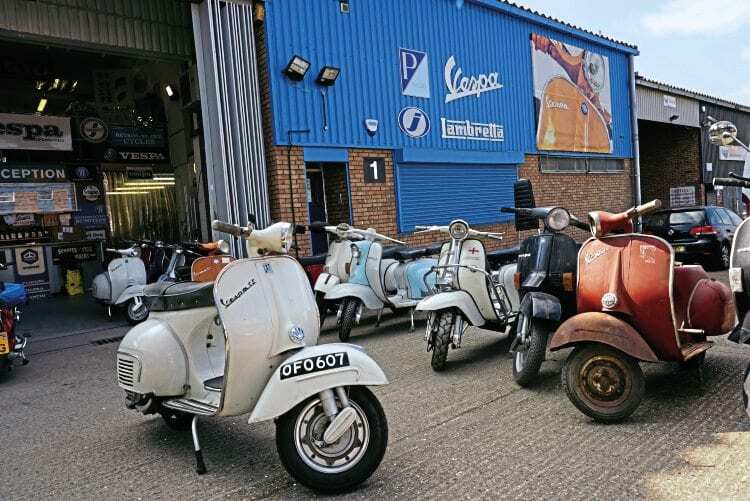 With its endless procession of rare machinery the company’s fascinated me for years and before my association with Scootering it was Retrospective who supplied my ‘original paint’ GP. I’d bought that machine over the phone and taken advantage of their delivery service, so when the opportunity arose to pay them a visit I jumped at it. 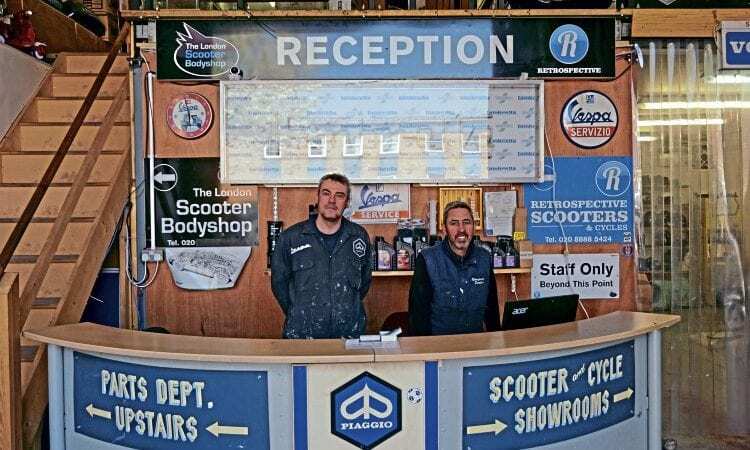 Niall McCart and Dave Maher are owners of Retrospective Scooters and The London Scooter Bodyshop respectively. Friends and scooterists for years, their business interests have always overlapped. 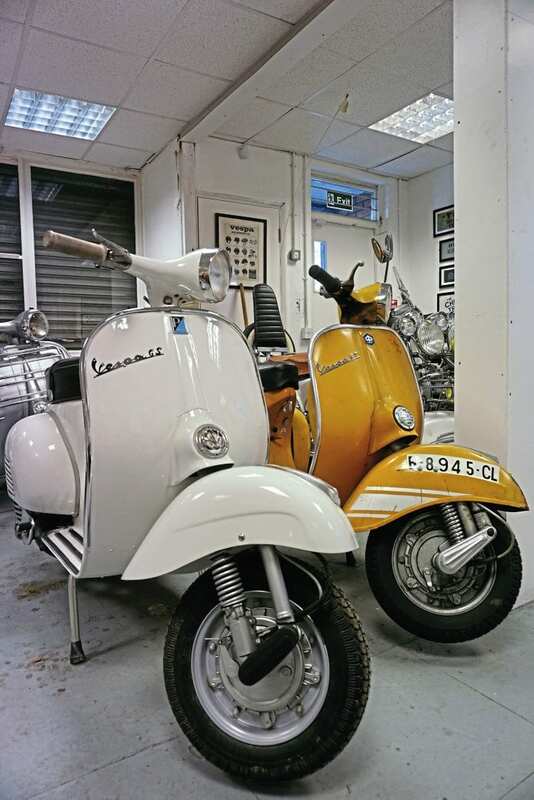 Around three years ago the pair sat down to design their ideal base and the result is the new unit in Walthamstow. 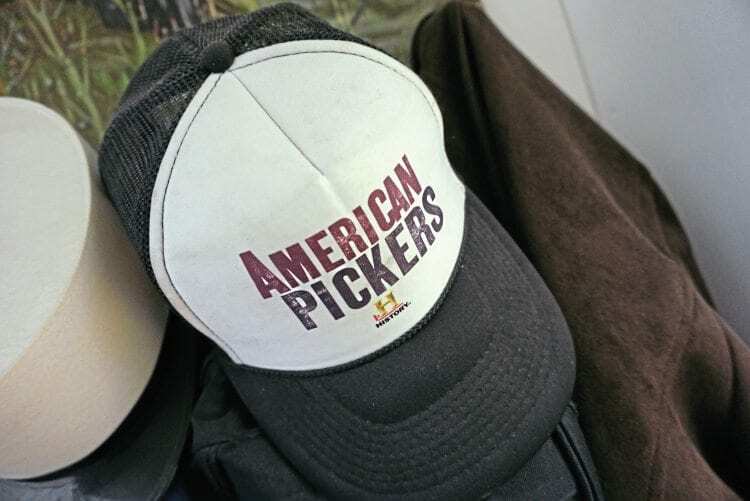 “Although we’re separate businesses it makes sense for us and the customer to operate under one roof,” said Niall. 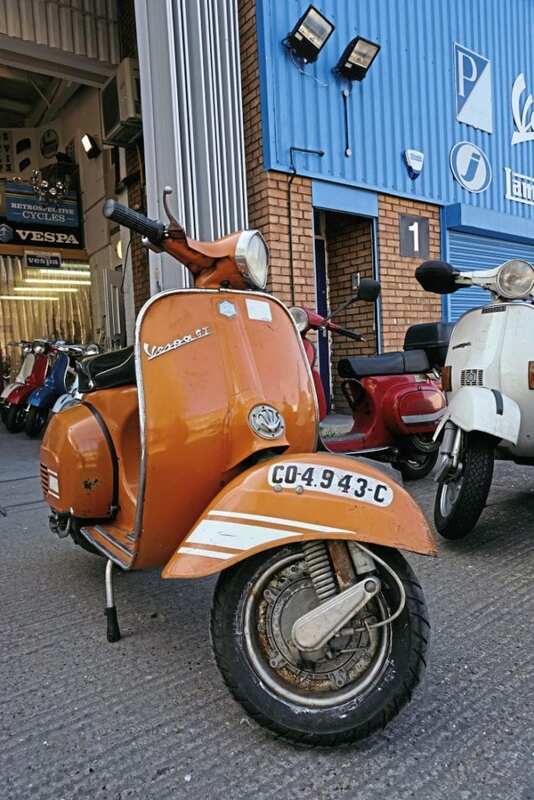 “Between us we offer a ‘one stop shop’ for scooterists, whether they’re a commuter, rally goer or concours restorer. With a project of my own in the wings I asked for an indication of cost and was pleasantly surprised by how competitively priced LSBS is. 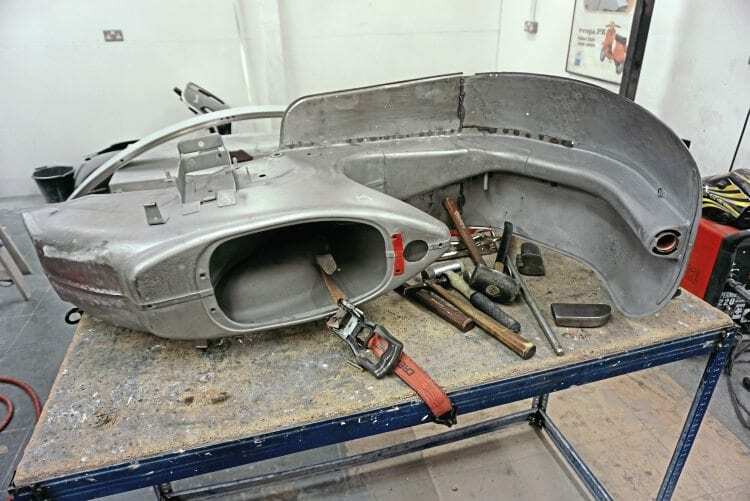 “Every job’s different and we never really know what we’re dealing with until back to bare metal,” said Dave. 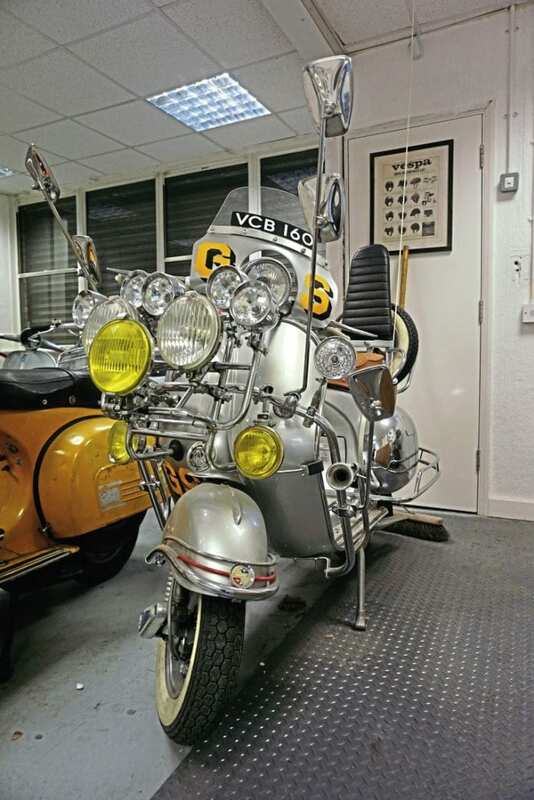 It’s almost impossible to move without seeing a GS of some description. 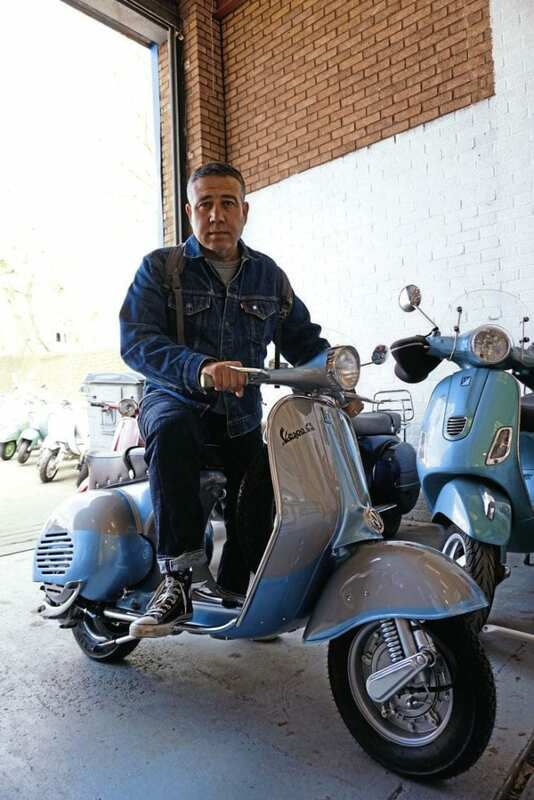 “I’d estimate that eight out of 10 Vespa frames need a new floor, but we’ll handle everything from a straightforward respray to dismantling a Vespa monocoque into its component pressings.” If that sounds extreme, LSBS have developed a range of precision-engineered jigs for the various Vespa frames, the details of which Dave guards closely. Frames found in the derelict Douglas factory have made their way to Retrospective. Walking around LSBS’s premises with Dave, the pride that he and his staff have in their work is obvious for all to see. “Using filler is a failure,” said Dave. “It’s difficult to recruit staff that are capable of panel beating to the standard that I require. Ever wondered how it works? Mk1 T5 awaiting its new owner. 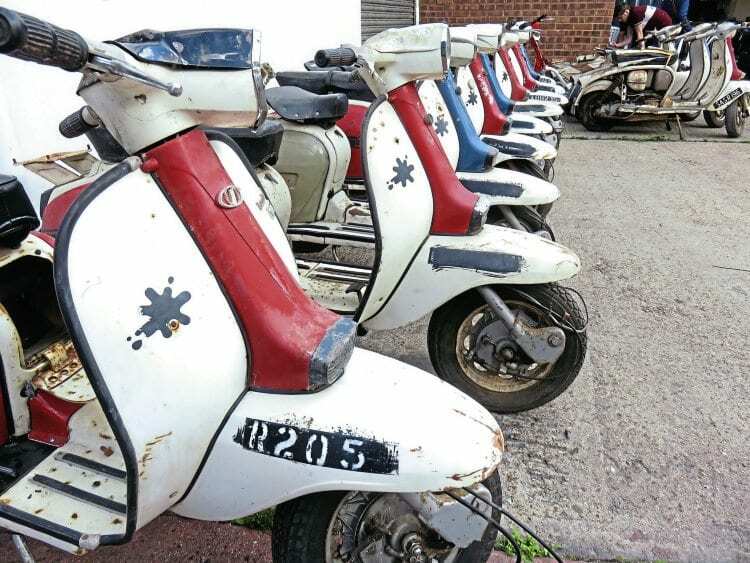 “People tend to think of us purely for our restoration work,” said Niall, “but we offer so much more than that.” Based close to transport links into Central London it’s possible to drop a scooter in for service on the way to work and collect it on the way home. 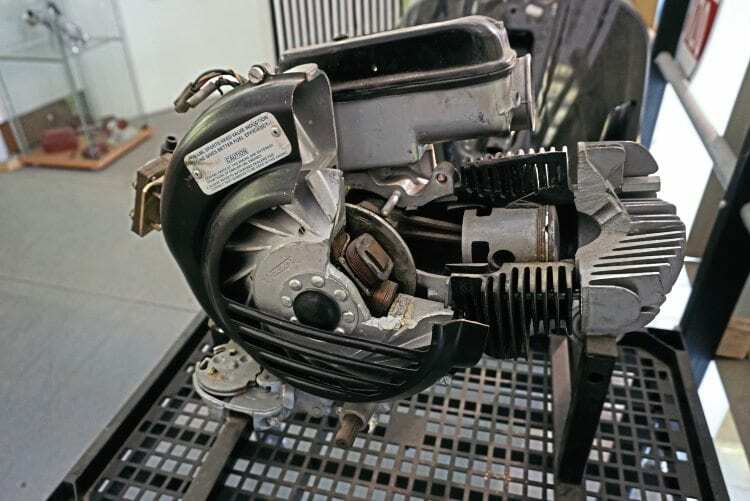 For more complex jobs why not drop your machine in and have a couple of days sightseeing? 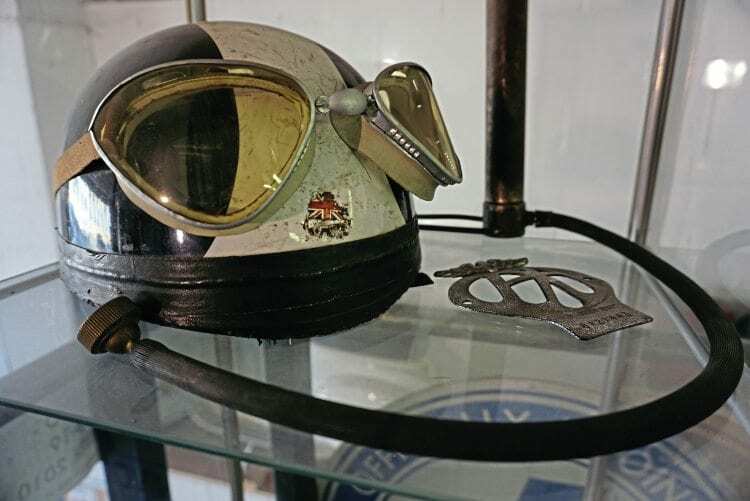 Niall’s pride and joy, an NSU Prima in original paint. 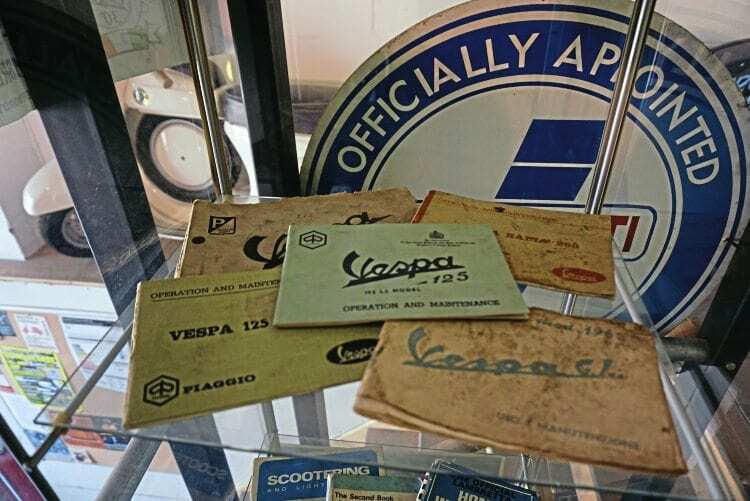 Retrospective also carries a wide range of consumables and parts for customers to use in their own restorations. 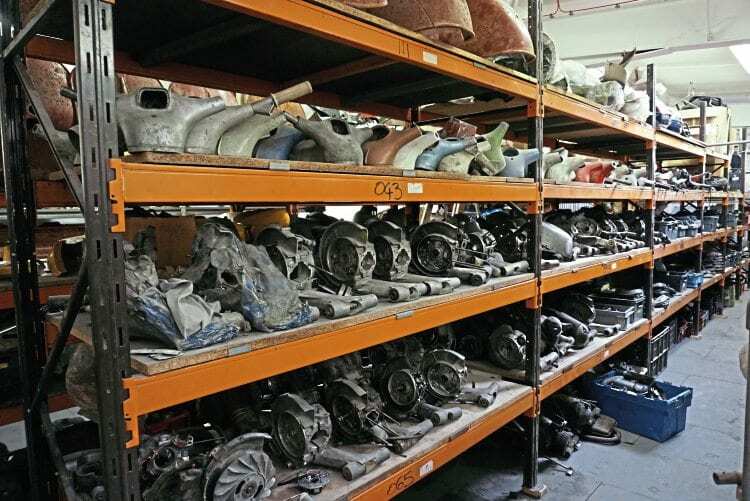 One benefit of moving premises was the opportunity to organise and Retrospective’s storage area is now the very model of organisation. 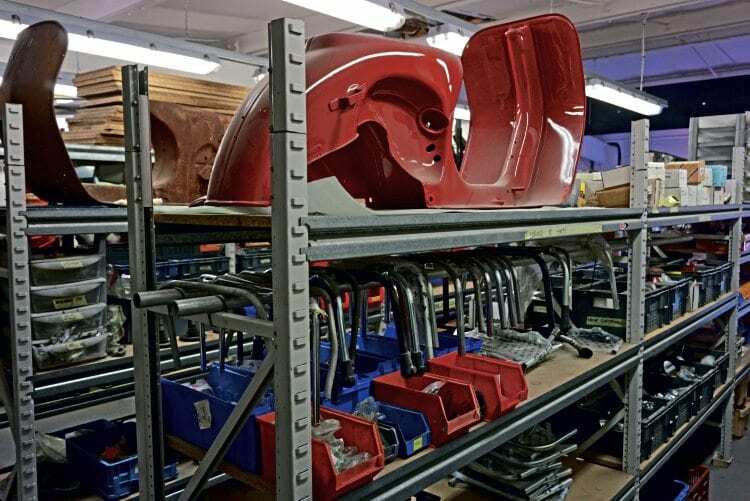 I could have spent all day exploring the racks of new, new old stock and used parts. 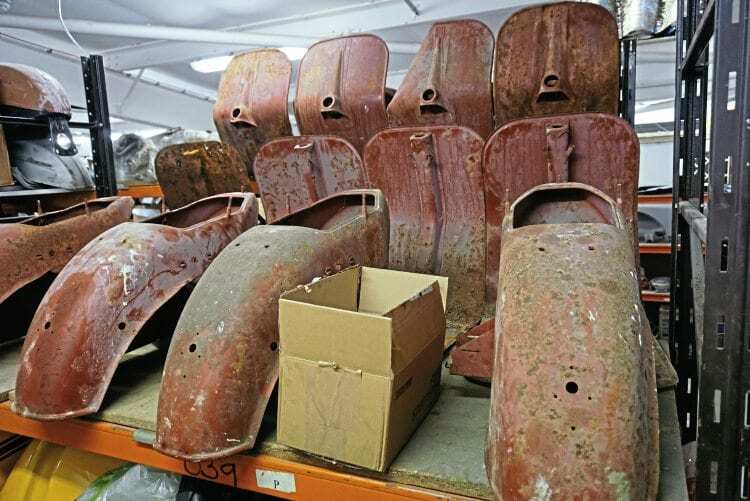 Niall also holds a number of frames, all waiting for the right buyer or their place in the ongoing queue of restorations. Workshops are a hive of activity. It’s the repeat custom that bothers Mrs Stan and having visited I now realise that the website is only the tip of the iceberg! 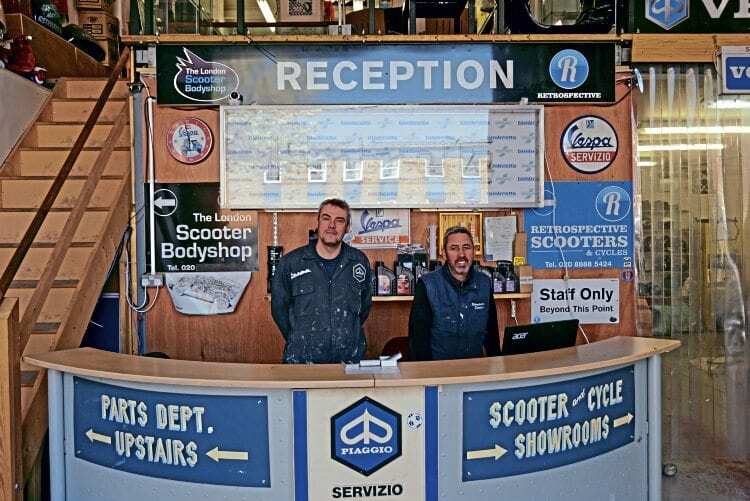 The two businesses are a place every scooterist should make the effort to visit. I’ll certainly be back, just don’t tell my wife. This much loved Sprint was entrusted to Dave and Niall, arriving in virtual scrap condition. 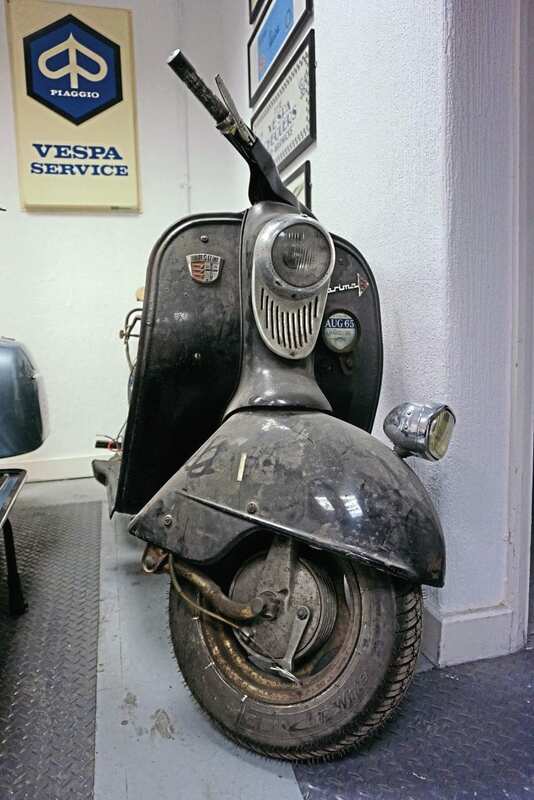 After much welding, a respray and full mechnical overhaul it’s back to factory condition and set for decades of use. 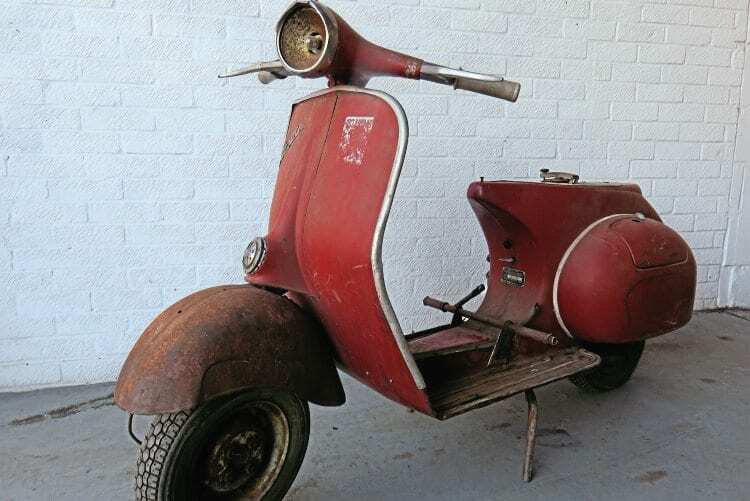 A ‘speciality of the house’ is converting classic machines for everyday use. 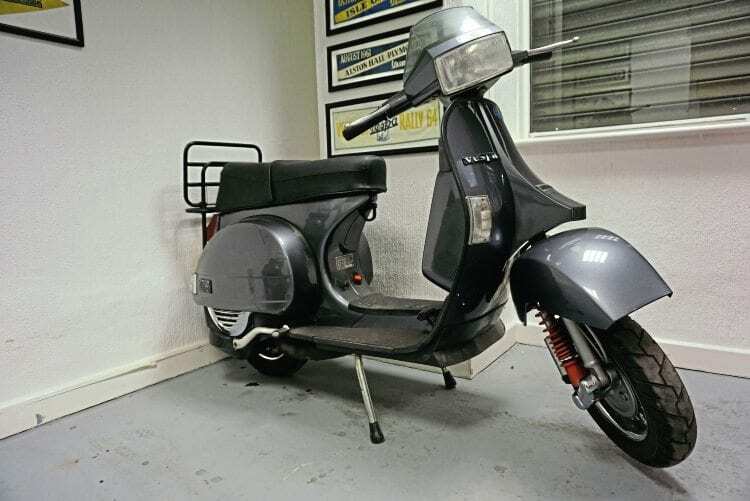 This ranges from paint conservation and a PX engine transplant, through mild tuning to a fully bodywork conversion turning a humble PX into a GS lookalike. 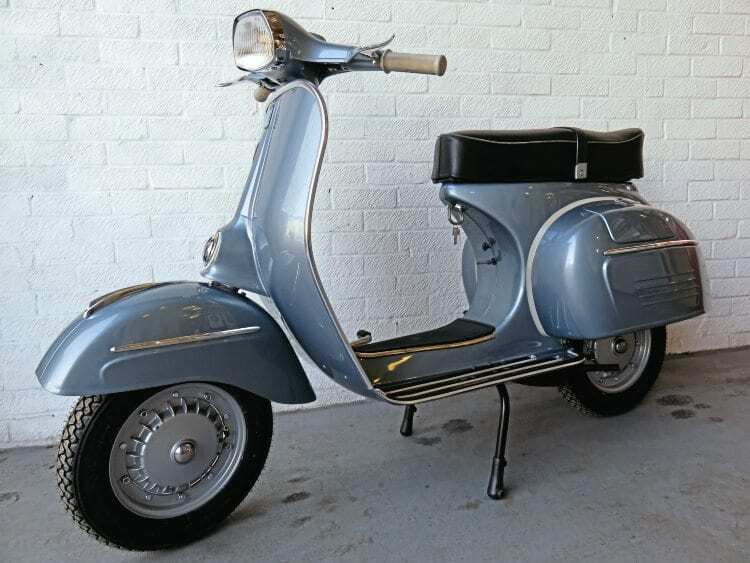 Ironically having helped Americans on buying trips to Europe, Niall has recently imported an American market ‘Allstate’ Vespa, effectively a budget version of the 125cc VNB with simplified front suspension. 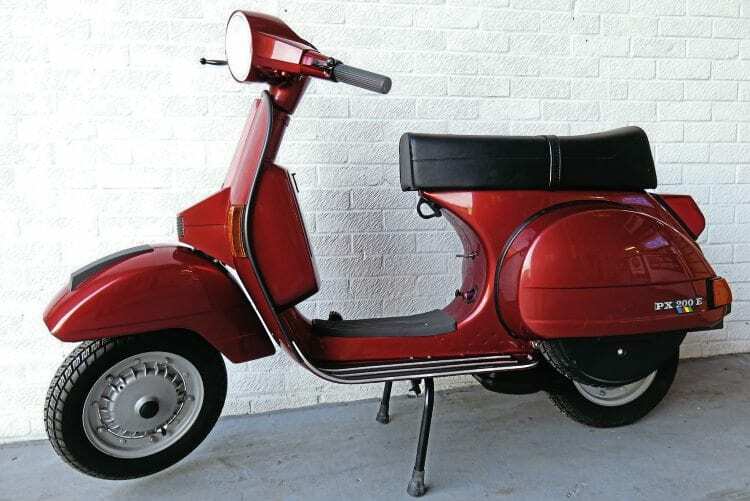 Ask any dealer in classic scooters and they’ll say that finding good examples becomes more difficult every year. Italy’s just about exhausted, Spain isn’t far behind and even Indian examples are drying up. Set against that background how does Niall keep discovering such interesting machines?